The 44th Annual World Series of Poker officially kicked off earlier today with the start of the $500 buy-in Casino Employees event and will be fully underway come 5 p.m. PDT with the start of what’s sure to be a star-studded $5,000 no-limit hold’em event. 2013 marks the seventh consecutive year that PokerNews will be live at the Rio in Las Vegas bringing you all the excitement from the tournament floor. You can expect a hefty dose of live updates, chip counts, interviews, videos, photos, podcasts, and much more. 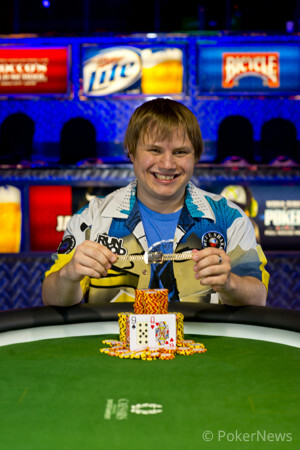 During the past 10 years, the WSOP has seen an astronomical rise in attendance, and in turn, overall prize pools. Will the numbers continue to climb in 2013 thanks to the birth of regulated poker in both Nevada and New Jersey? Or will the lingering affects of Black Friday still dampen the field sizes? Keep your browser locked to PokerNews to find out. Be sure to head to the PokerNews live reporting pages to get your daily fix of all the WSOP action!